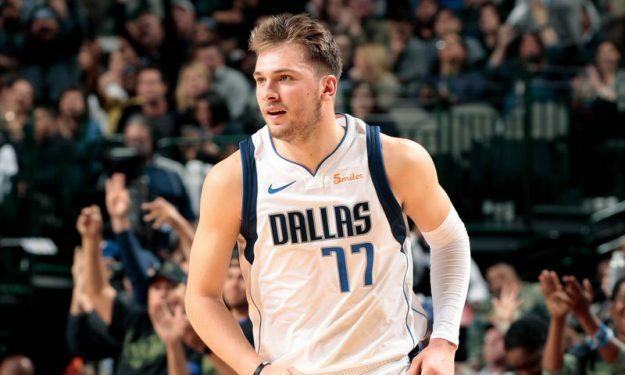 Luka Doncic emerged into the NBA world as a EuroLeague MVP and champion and is arguably considered “the best advertisement” for the competition. To be more precise, ESPN’s “The Jump” named Luka Doncic “the best EuroLeague advertisement ever“, but we can argue with that later, given the historic achievements of the competition’s players. Truth be told, Luka is making a name for himself on the other side of the planet in his rookie year, while at the same time he’s on the receiving end of harder criticism in comparison to other rookies – mostly due to his somewhat rich European basketball background (plus his titles with Real Madrid). Still, his supporters are more than his critics, while EuroLeague gains a whole lot more recognition by now, admittedly. Will Luka pave the way for even more European players to chase their NBA dream? It looks like it. Watch the aforementioned passage from ESPN’s “The Jump”, for a better overview of the Slovenian sensation’s impact.